San Jose police are investigating two homicides that occurred about one mile apart from each other in a span of roughly 26 hours. Robert Handa reports. San Jose police are investigating two homicides that occurred about one mile apart from each other in a span of roughly 26 hours. Police received reports of an altercation around 11:58 p.m. Thursday near the intersection of South Sunset Avenue and East Antonio Street. The neighborhood is located between Interstate 680 and Alum Rock, near Our Lady of Gauadalupe Church in East San Jose. People at the scene scattered when officers arrived and found a 17-year-old boy on the curb with a stab wound to the chest. Life-saving measures were attempted and the teen was taken to Regional Medical Center, where he was pronounced dead around 12:25 a.m. Friday, according to police. 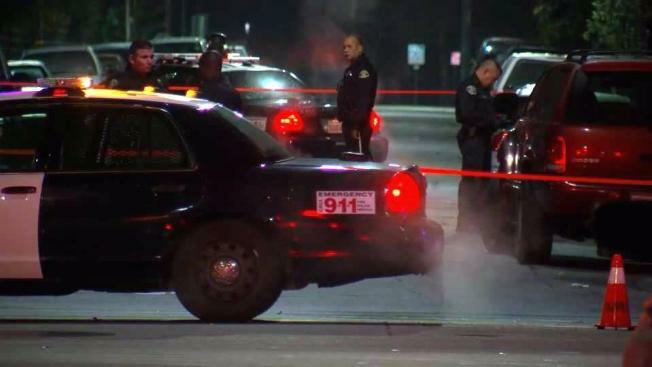 San Jose police are investigating the city's second homicide in 26 hours. 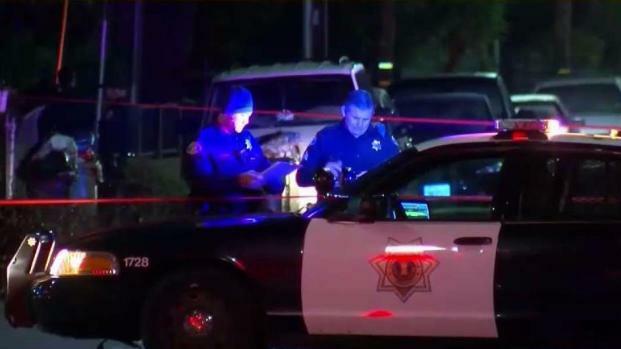 A a 17-year-old boy was stabbed to death late Thursday, not long after a fatal shooting in the same part of East San Jose on Wednesday. Anser Hassan reports. Around 4 a.m., a crime scene investigation team arrived on the scene, and the police perimeter was expanded. There is no information about a suspect or motive, and witnesses are still being interviewed. Just a day earlier, a man was fatally shot on the 2500 block of Van Winkle Lane in San Jose around 8:50 p.m. He sustained at least one gunshot wound and was pronounced dead at the scene. Circumstances surrounding the shooting remain unknown. No suspects have been arrested in that case either. Robert Campos, who lives near the two crime scenes, said he was saddened by the deaths but not surprised. "Scary," he said. "Like they said, bullets don't have no names. It could have been anybody." San Jose has seen more than 30 homicides in 2017, down from 2016's 47. San Jose police are investigating a possible shooting early Friday morning. 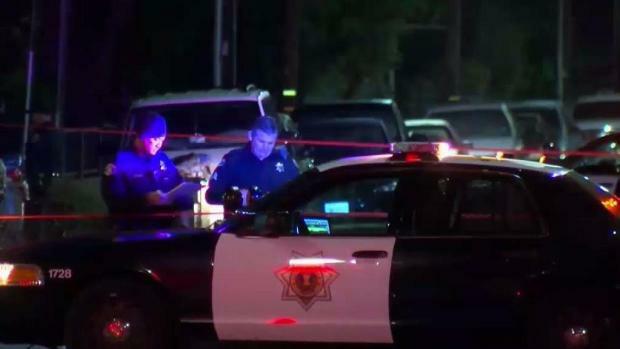 The alleged crime, which occurred just before midnight, prompted a large police presence at the intersection of South Sunset Avenue and East Antonio Street, near Our Lady of Gauadalupe Church in East San Jose. Anser Hassan reports.